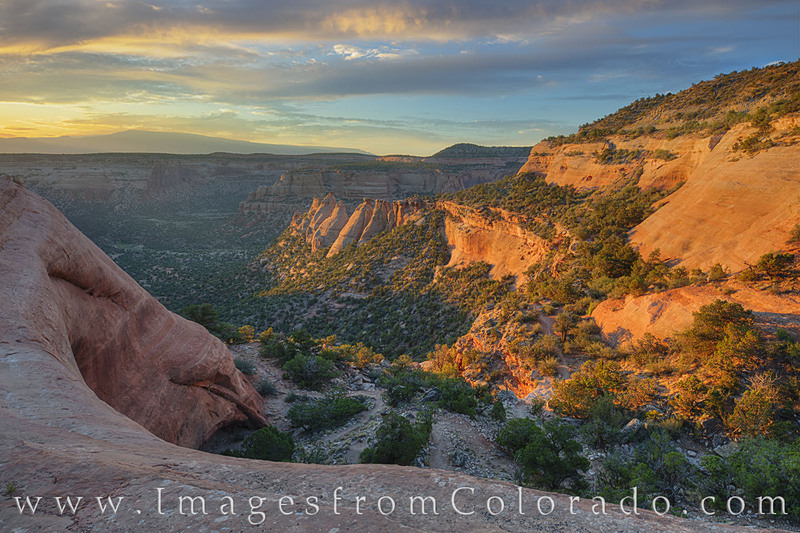 The contrast between shadow and light is evident in this sunrise image from Colorado National Monument. This view looks into Monument Canyon, and the Coke Ovens are in the center of the photograph. The first sunlight of morning shines on the ancient rocks, turning them brilliant shades of orange on this mild summer morning just west of Grand Junction.